ACCRA is a joint European-Japanese initiative including a multidisciplinary team of 6 European partners and 3 Japanese partners. The project has a three-year duration. It is structured to allow for balanced contribution and efficient synergistic collaboration between Europe and Japan. The ACCRA project (Agile Co-Creation of Robots for Ageing) is a response to the call “Japan cooperation on Novel ICT Robotics based solutions for active and healthy ageing at home or in care facilities” of the European Union’s funding programme, Horizon 2020. TRIALOG is an engineering company specialized in the field of complex systems. Its main activity is to build and then transfer technological innovations to its customers. Its offer is based on its ability to anticipate, support and develop cutting-edge technologies in industrial information systems and Research and Innovation projects. This approach also includes the need to be able to validate and test the interoperability of systems and platforms for the Internet of Things, cyber security and privacy. The Scuola Superiore Sant’Anna (www.sssup.it) is a public University with a special status admitting excellent students at graduate, doctoral and post-doctoral level in the sectors of engineering, medicine, agriculture, economics, law and political science. The mission of SSSA is to perform excellent research activity managed mostly by six Institutes, that are: BioRobotics, Law, Politics and Development, Economics, Management, Life Sciences and TeCIP – Institute of Communication, Information and Perception Technologies. EUR is a research university driven by a strong focus on current social issues. 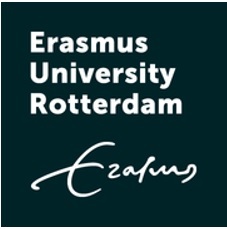 Erasmus University Rotterdam has bundled its education and research in four areas of expertise in which the university has a national and international reputation to maintain : Health, Wealth, Governance and Culture. The university counts as its core tasks: to generate knowledge from research, to share knowledge in education and to transfer knowledge to the community. Its driving forces are academic curiosity, critical reflection and social engagement. The university has an enrollment of almost 23,000 students. Often referred as Dauphine, Paris Dauphine University is a public research and higher education institution in Paris, France. Dauphine is both a business school and has the “grand établissement” status. Dauphine is specialized in the organization and decision sciences. University of Paris-Dauphine wishes to support public marketing research dedicated to the disabled and aged consumers. Specialized in the organization and decision sciences, Dauphine will lead be leading the project scientific ACCRA methodology for the development of a sustainable robotics solution dealing with the loss of autonomy among the elderly and will be mainly responsible for three studies: needs study, agile co-creation and sustainability quantitative study. It will also support the application of each part of the methodology in all use cases and pilot sites. BLUE FROG ROBOTICS is a SME based in Paris, created as a spin-off of CRIIF – Centre Robotique Intégrée d’Ile de France – which is a leading laboratory in robotics service. Blue Frog has developed and marketed the first personal robot BUDDY to the general public (families, seniors and children). Resulting from years of research, BUDDY is the first autonomous robot truly designed for the whole family at an affordable price for the general public and benefiting from a wide range of applications and accessories. 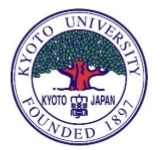 Kyoto University (Kyoto) is a national university located in Kyoto, Japan. It is the second oldest Japanese university. Academic Center for Computing and Media Studies (ACCMS) conducts research and development related to advanced use of the IT infrastructure and information media. The results are utilized in the enhancement of areas such as the educational research environment of Kyoto University, and are also available for joint use with other universities and research institutions. The “Casa Sollievo della Sofferenza” (“House for the Relief of the Suffering”) Hospital was inaugurated on May 5, 1956. It is considered one of the most important Italian hospital and serves as an essential reference point for Central and Southern Italy. Its mission consists in the care and assistance of those who suffer as well as in scientific research, medical training and didactics. Nowadays it is recognized by the Italian Ministry of Health as a Research Hospital and Treatment Centre (IRCCS) carrying out clinical and health care activities in collaboration with the most important Italian and international research centres, particularly in the field of genetics and hereditary diseases. ConnectDot (CDOT) is a system and software engineering company in the fields of networking and research issues. ConnectDot business focuses on the service development business using RFIDs. Connectdot is also expanding its business on handicapped person helps. Developing RFID tag format and talk application of Smart Phone will help visually impaired person to aware of their wearings. 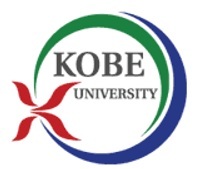 Kobe University is an academic institution encourage forward-looking and independent thinking in working toward our ideal of creating ‘harmony between theory and reality’. Building on these traditions, teachers and staffs in Kobe University are now endeavoring to further utilize our ability for collaboration and integration. It pledges to become an outstanding research university that can serve as a center for value creation that will help to solve the issues facing our society both at present and in the future.